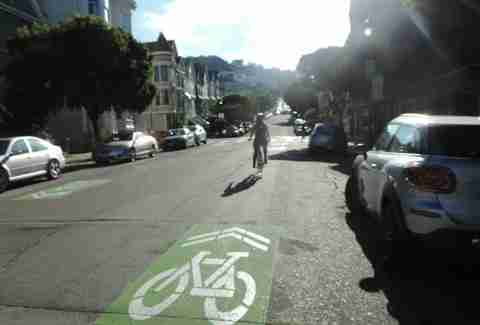 Important things you need to know about The Wiggle if you live in SF: 1) it's a zig-zagging bike route from Market to the Panhandle that shortcuts you around all the steep hills, 2) it has its own song (!!! 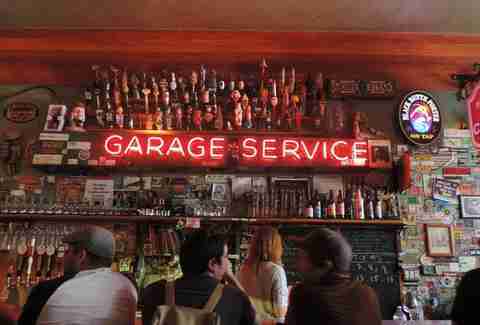 ), and 3) it's home to juuuuuust enough great bars to facilitate a Wiggle drinking guide. So we made one of those. First, some brass tacks from us bike-crawling veterans: wear your helmet (your Mom is right) and don’t bike if you've had more to drink than the legal limit -- it’s dangerous and punishable by a $250 fine if you’re caught cycling under the influence. Alright, to the bars! This is essentially Wiggle Ground Zero -- a severely under-frequented mid-Market mainstay with cool-you-off cocktails like the Summer Mule (which you'll often find on special), and the tart, tequila-based El Rey. Bonus: the bartender has Advil behind the bar. 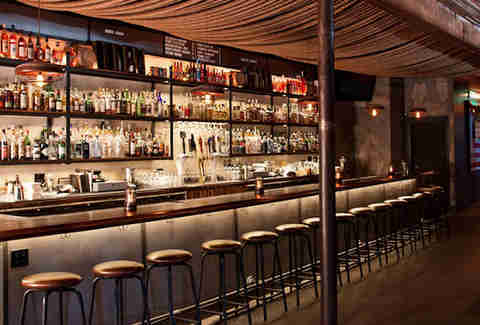 While getting a drink at this awesome World War II-inspired cocktail bar after dark is an exercise in patience, daytime sees fewer crowds, meaning you’ll have a better chance of boozing/resting your knees on the comfy couches instead of being pressed up against Saturday night strangers. If you're into fresh-squeezed juice, get the greyhound. And if you're into pool, play exactly that in the back. 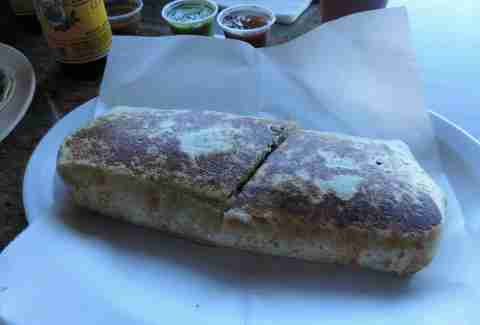 Fortify at this taqueria just a half block down from Churchill with their quesadilla, which is more massive burrito than it is 'dilla. The tacos are large as well, and beautifully simple, plus they've got plenty of Mexico’s finest beers (this is still a drinking guide, after all) and refreshing antioxidant-rich hibiscus tea -- we’re all about health, obviously. Now for the wiggliest part of The Wiggle. 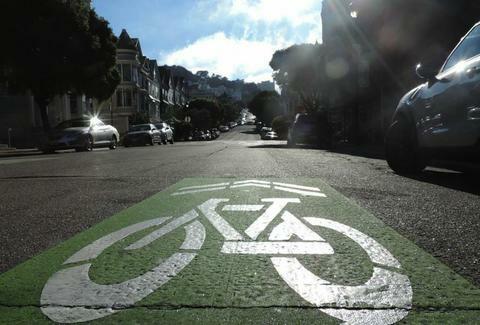 Follow the green bike signs along sleepy residential streets until you hit Haight St and Pierce St, where you’ll want to ditch the bike and fix the inevitable sweaty helmet hair. There’s a lot of work to be done in the next block. 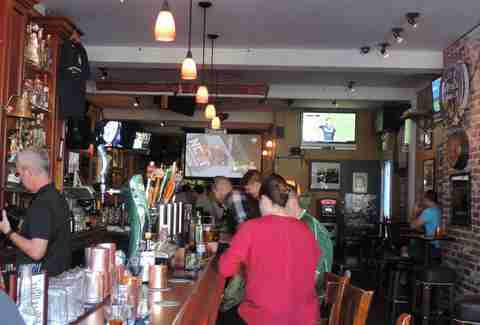 Somewhere in between a sports bar and an Irish pub, Danny Coyle’s is a prime day-drinking spot to throw back Guinness-es and Magners-es, especially if there’s a pay-per-view fight or a sweet college football game on, which they'll project on the big screen in the back. Disclaimer: this is a Chargers/Seahawks bar, so if you're a Niners fan (and you damn well better be), maybe skip this stop on a Sunday. With more than 40 beers on tap and regular new imports, this is where you're gonna want to go if you're looking to sample hard-to-find beers, ciders, and barley wines for between $5 and $7 a pint. 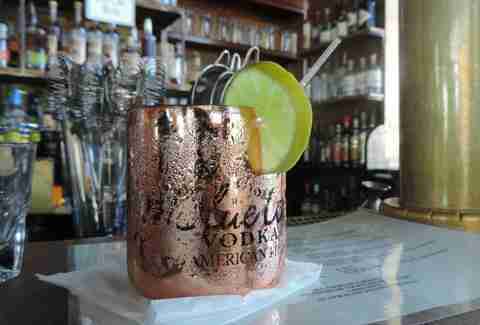 If you can snag a seat at this always-packed bar, it might be worth getting a second round. And by "might be worth" we mean "is worth". 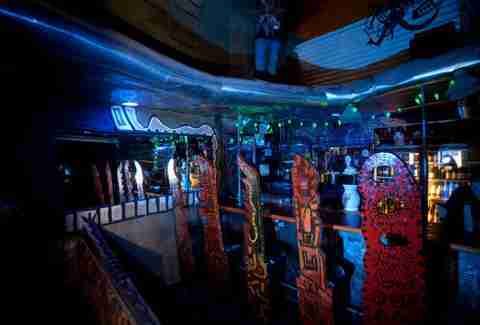 The cavernous, funky Noc Noc bar next door is sort of Tim Burton-meets-mushroom-trip, with a splash of Dr. Seuss. Think textured, warped walls, scraggly fake tree branches, alien-inspired lighting, and bar stools that look like they belong on the set of Beetlejuice. It’s a little cheesy, but then again, you’re wearing a helmet. 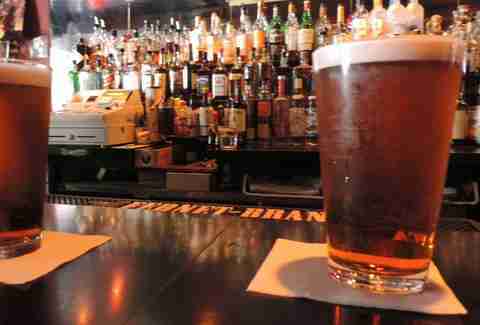 And the happy hour -- $3 on select pints until 7pm -- is hard to beat. Because you'll probably need more (ugh) food at this point if you're doing some sort of crawl, drop into Memphis Minnie’s BBQ (don’t worry, they've got beer on tap, too). If it’s your first time, definitely get The Southern Star sandwich, which is half slow-smoked Texas brisket and half Memphis sweet smoked pork, and get ready to do a taste-test of the four house-made hot sauces. Because you need a SECOND SNACK (geez, what's with you and all this food?? 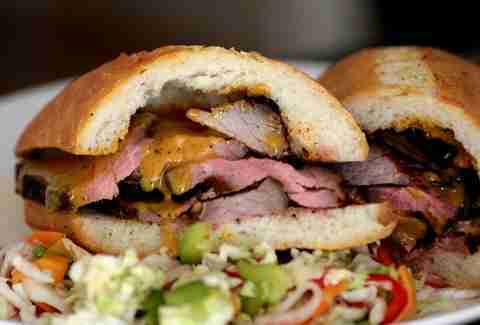 ), hit the only place on Haight that offers the modifier "Kennebec" to its order of fries. This upscale gastropub is worth a drop-in for a craft cocktail and shishito peppers. And even though it's not technically a snack, the burger is kind of to-die-for. This punk-rock dive bar rose to viral fame this year when it became the site of an alleged anti-tech "hate crime" after a scuffle over Google Glass. But don’t expect international media attention to inspire any change in this cheap-drinking SF institution. And that’s one of the things to love about it -- it’s a nice reminder of what the Lower Haight was before it cost $4,000 to live there. The floor is sticky, there’s always rock coming out of the jukebox, and the daytime crowd consists mostly of hard-drinking regulars. 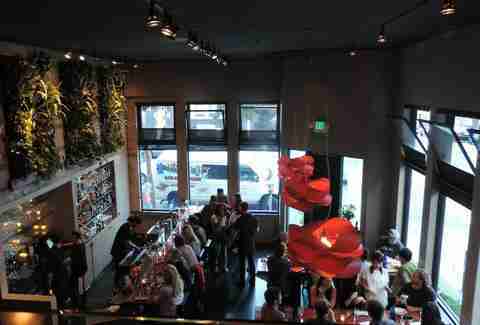 Your last pre-Panhandle bar stop is obviously gonna be at Madrone. Get there around happy hour to enjoy $1-off draught beers and well drinks, as well as the live piano player that opens for the rotating host of DJs. It’s a party here every night of the week, including Mondays when Motown draws a line around the block. Amy Copperman is a freelance writer who actually did THIS ENTIRE WIGGLE CRAWL. Hit her up on Twitter: @acoppergirl.